Region 9 champion Dixie moved easily into the state semifinals with a blowout win over Snow Canyon, while Pine View lost a heartbreaker to Park City and will join the Warriors in the elimination bracket. Desert Hills, the fourth Region 9 team in the playoffs, was eliminated Thursday, while Canyon View played rally ball to stay alive in the tourney. 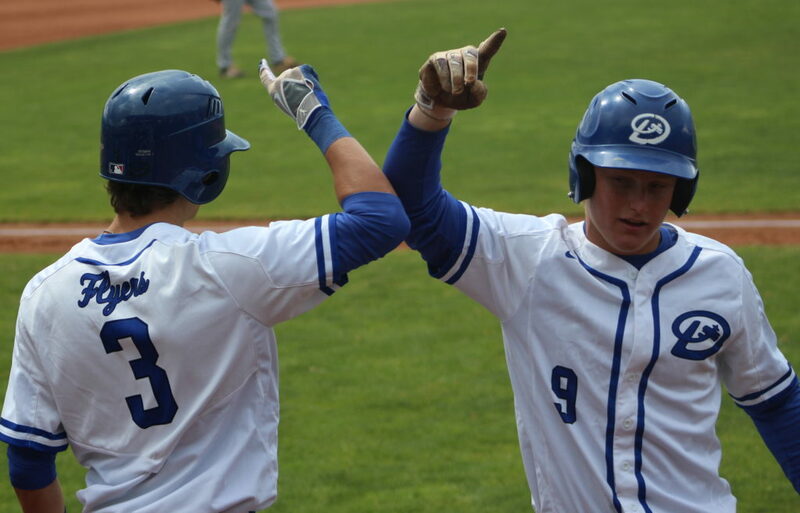 After two regular season nail-biters between the two region rivals, both won by the Flyers by a single run, Dixie left no doubt in this quarterfinal game which started at 11 a.m. Thursday. The Flyers rapped out 14 hits and scored at least two runs in four of the game’s five innings, including six in the third, en route to the mercy-killing. The Warriors momentarily staved off the mercy-rule in the top of the fifth by cutting it to 10-2, but Dixie put the game out of its misery with two more in the bottom of the fifth. With ace Tyson Fisher on the mound, the Flyers didn’t need much run support to start thinking a trip to the semifinals was coming. And the offense came early and often. Just two batters into the bottom of the first, it was already 1-0 as Hobbs Nyberg singled and Dayton Dempsey doubled him home. Payden Harrah, who had three hits and three RBIs in the game, knocked Dempsey home later in the inning. 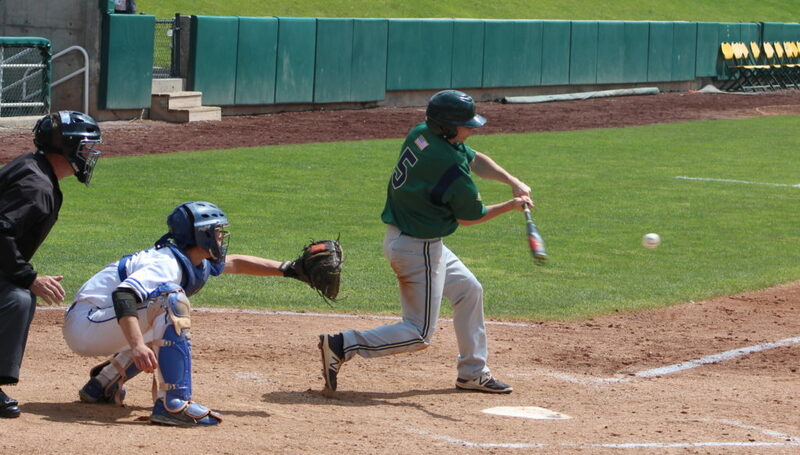 Kaden Leavitt led off the bottom of the third with a double and scored on a Snow Canyon error to make it 3-0. It went to 4-0 on Harrah’s second RBI as he singled Nyberg home. Dixie was just getting warmed up in the inning. Fisher scored on a wild pitch and Wyatt Woodland followed with a single to score Harrah and make it 6-0. Then, with two outs, Chase Lundin ripped a liner to the gap in left-center to make it 8-0. The Flyers made it 10-0 in the bottom of the fourth when freshman Cooper Vest singled home both Fisher and Harrah with two outs on a liner to center field. Snow Canyon actually hit the ball well, collecting eight hits off of Fisher. But Dixie made several stellar defensive plays to keep the shutout intact until the fifth. One of those came in the top of the third when Harrah fielded a Cannon Secrist single with two men on base and rifled a throw home to catcher Lundin, who tagged out the SC runner at the plate. In the top of the fifth, a one-out Austin Deming RBI single made it 10-1. Secrist followed with a double to left that scored Jamison Day. 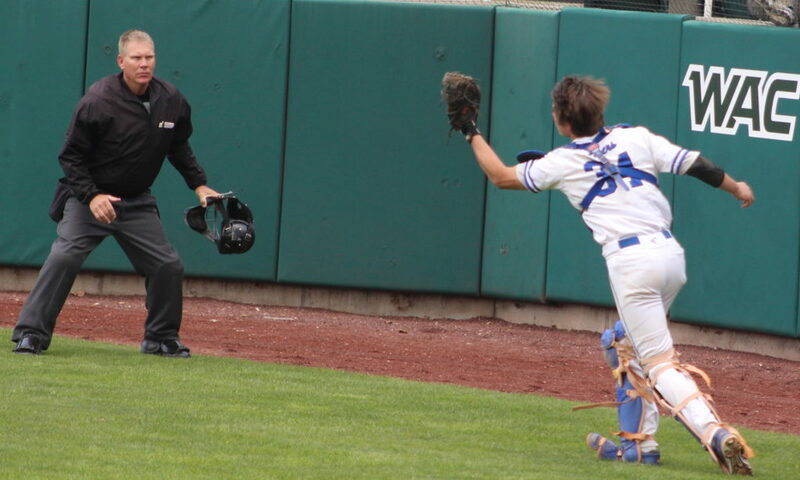 But the rally was cut down when Leavitt scooped up the baseball and gunned it to the relay man, who threw home to thwart another attempted run scorer. Leading 10-2, Dixie needed two more runs to end the game early in the fifth. With one out, Nyberg singled and Dempsey was hit by a pitch. Fisher then singled to make it 11-2 and Harrah finished it with his third RBI of the game on a single to center field. Dixie, 22-3, advances to Friday’s state semifinal. 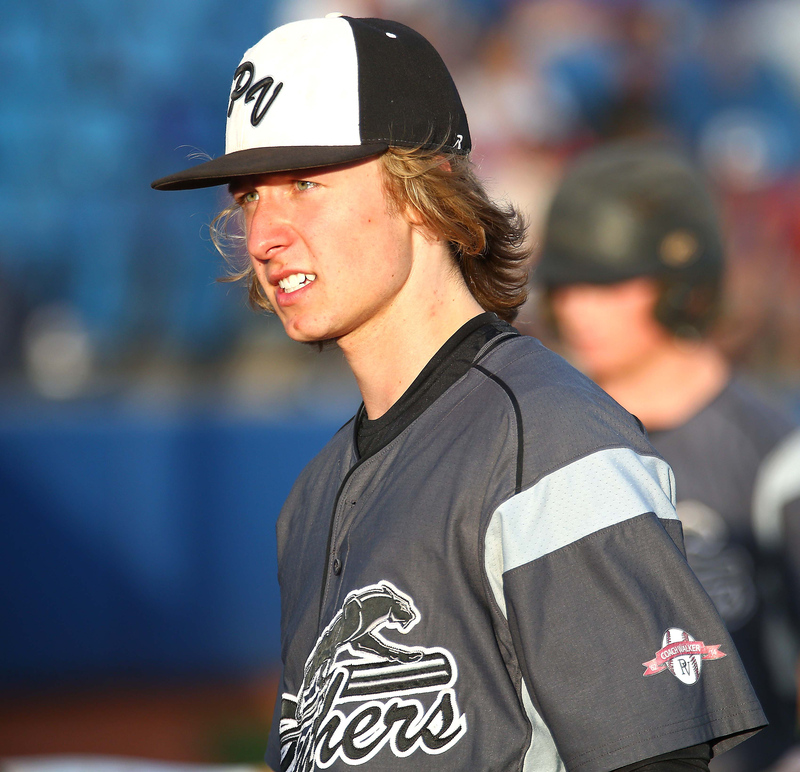 The Flyers will battle Park City at 4:30 p.m. at Brent Brown Ballpark, with Dixie likely starting either right-hander Kayler Yates or lefty Stockton Sorden (Ipson was playing his hand close to the vest, or the Cooper Vest, another possible starter) and the Miners likely tabbing Sam Strader as their starter. Snow Canyon, 16-11, plays at 11 a.m. at UVU against Canyon View. 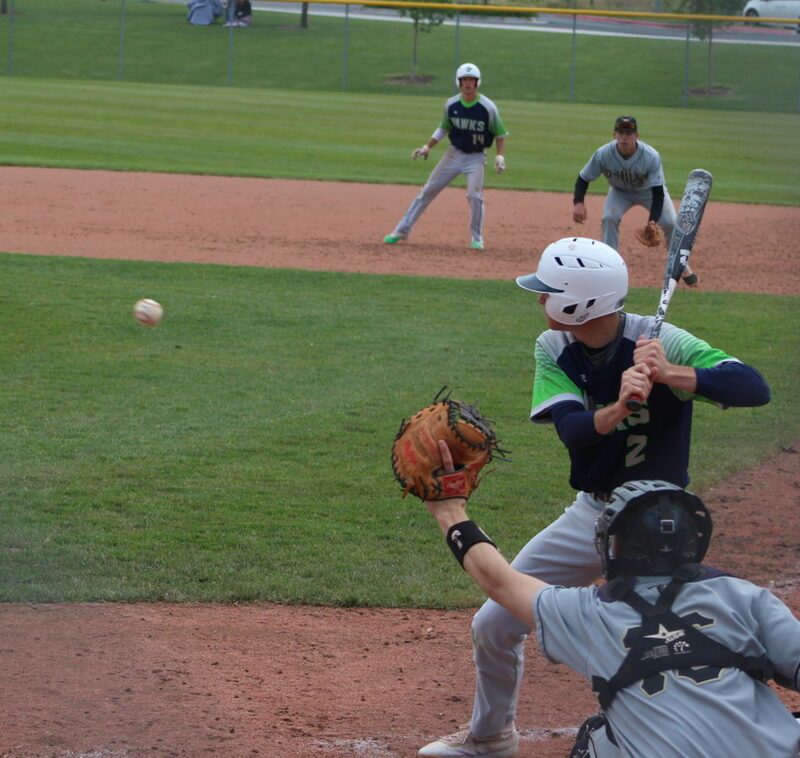 The Falcons have staved off elimination three times already, beating Grantsville 9-8 (last Saturday), topping Bear River 7-4 Thursday morning and rallying from a 4-0 deficit to defeat Ridgeline 8-4 Thursday night. All those wins came after the Warriors had shocked the Falcons to the tune of an 18-0 win last Saturday. With aces Jagun Leavitt (PV) and Ryan Brady (PC) on the mound, this figured to be a pitchers duel, many expecting a game like the Miners’ 1-0 victory over Desert Hills last week. Needless to say, the combined 13 runs and 24 hits were stunning. Ben Agnew singled home Van Rabe with two outs in the bottom of the seventh as Park City advanced to the state semifinal with the walk-off win. Rabe, the Miner speedster, also scored the game-winner last Saturday with two outs in that PC win over Desert Hills. 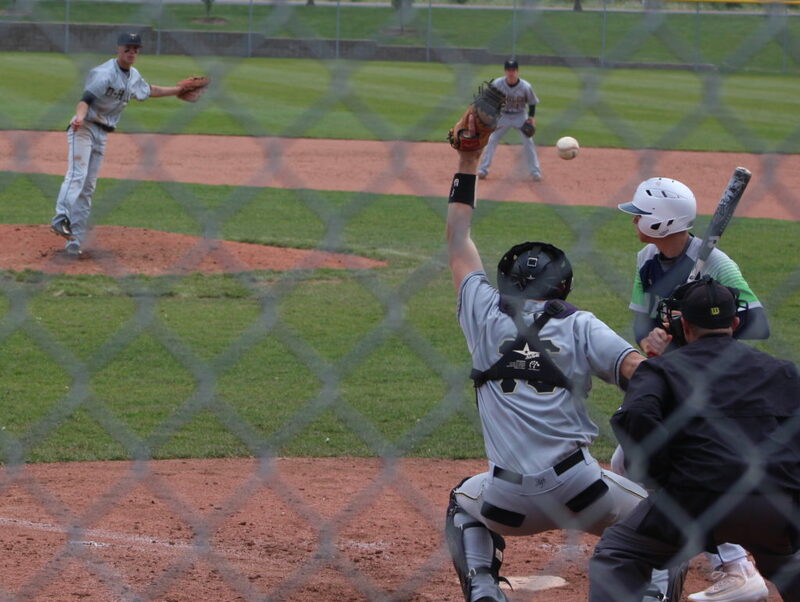 The Miners had led 6-1, but Pine View battled back with four runs in the fifth and one in the sixth to tie the game. However, when the Panthers went scoreless in the top of the seventh, there was a vibe in Brent Brown Ballpark that seemed to hint that more magic was coming for Park City. Payton Gross was hit by Pine View pitcher Tanner Staheli to lead off the bottom of the seventh, with Colton Thompson following with a single. PV got the lead runner on a ground out and then a shallow pop fly made it two outs with the runners still at first and second. Agnew, looking fastball, took the first pitch and then lined the next ball into the gap in left-center. 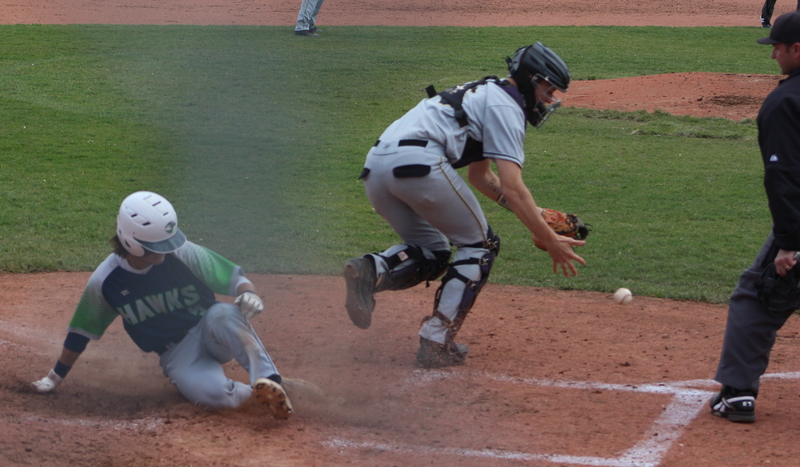 Rabe scored without a throw to end the game. Surprisingly, both starters were out of the game by the fourth inning. With pitch-count factors and an inconsistent breaking ball, Leavitt was pulled after three trailing 2-1. He had given up an uncharacteristic seven hits in those three innings. Staheli came in to pitch the fourth and the Miners’ Sam Strider reached on an error to lead off. A passed ball, a sacrifice fly and a walk seemed to open the floodgates. A Zach Luna triple and a Payton Gross double were the big blows in what ended up being a four-run inning that turned a 2-1 squeaker into a 6-1 advantage. However, it didn’t take long for Pine View to counter. Park City coach David Feasler decided he wanted to save some innings for Brady, his ace, so he sent the senior to the outfield and put Luna on the mound. What followed was a Pine View hitting clinic. Ryke Erickson singled, followed by a Dawson Staheli double. 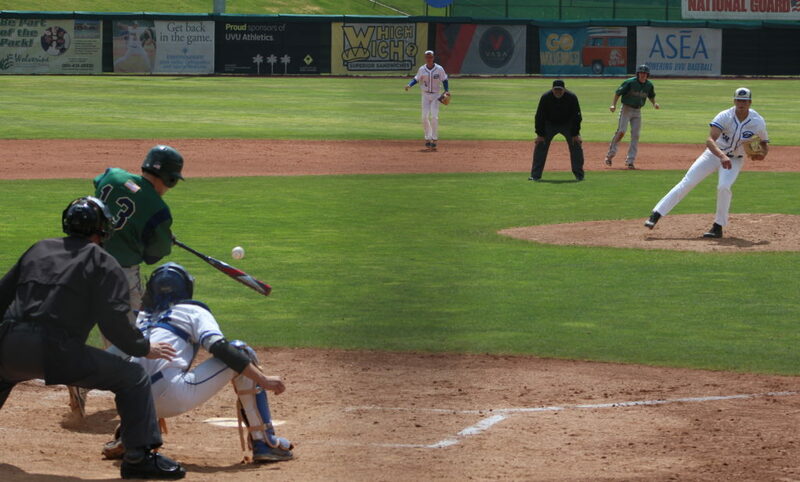 Leavitt then singled to make it 6-2 and Erik Sanchez cut it to 6-4 with a liner down the left field line. At that point, Feasler had seen enough and grabbed Brady again and put him back on the mound, pitch count be darned. Pine View did get one more run in the inning as Weston Sampson hit a hot shot that was bobbled at second base, allowing Sanchez to score and make it 6-5. It stayed that way until the top of the sixth when Pine View tied it up. Erickson singled with two outs and an error moved him to third. Leavitt then picked up his third hit of the game to bring Erickson home and made it 6-6. Park City, 22-3, plays Dixie at 4:30 p.m. Friday in the state 3A semifinal, while Pine View, 15-11, will battle the winner of the late game (Juan Diego vs. Carbon) at 1:30 p.m. Friday in an elimination game. The Thunder were their own worst enemies, committing five errors and issuing eight free passes via walks and hit-batsmen. Considered one of the teams that could emerge from the one-loss bracket to contend for a title, DH never got it going against the Riverhawks and pitcher Dallan Larsen. 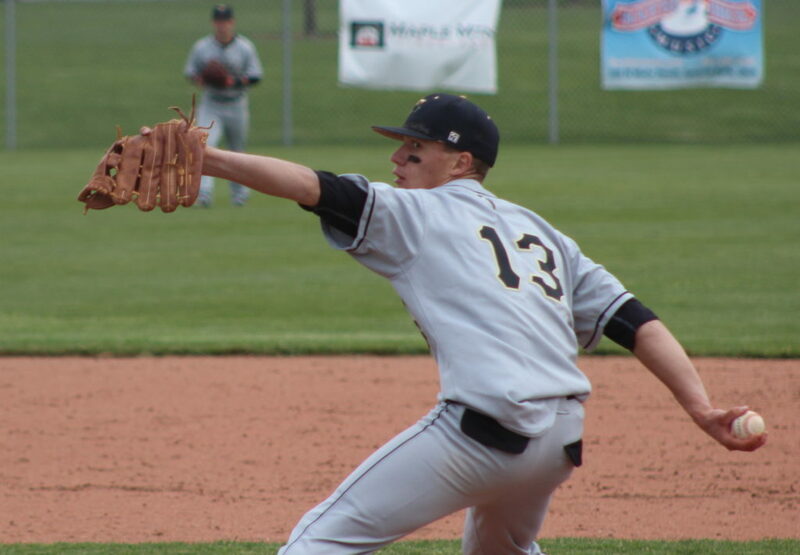 The senior righty allowed just one hit and held Desert Hills scoreless until the bottom of the fifth, at which point a single run failed to prevent the mercy rule defeat. DH started Alex Ekins, but he last only 2 1/3 innings and was relieved by Chad Nelson with the score 3-0. Nelson allowed a hit to make it 4-0, but seemed to settle in by getting a pair of groundouts to end the third. In the fourth, back-to-back Thunder errors produced two quick runs and made it 6-0. Desert Hills brought in Trey Winget to pitch, but the onslaught continued with another run scoring in the fourth (7-0) and then four more coming home in the fifth to make it 11-0. The Thunder had at least one error in each inning except the first, which happened to be the only inning the RiverHawks failed to score. Winget walked in the bottom of the fifth and eventually scored on a wild pitch. During the game, the senior speedster stole his 30th base of the season. Both teams are now eliminated from the tourney with DH’s loss in this game and RHS’s defeat later Thursday to Canyon View. The Thunder finish the year with an 18-7 record. Ridgeline ends up 17-7. 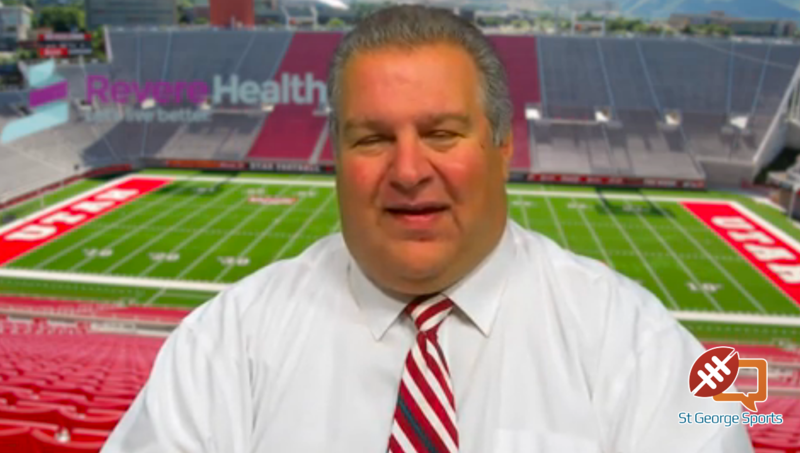 Dixie vs. Park City, 4:30 p.m. Snow Canyon vs. Canyon View, 11 a.m.
Pine View vs. tbd, 1:30 p.m.
11 a.m. winner vs. 1:30 p.m. winner, 7 p.m.